The display of images on flat screens cannot convey the full depth of communication between people or the visualization of products. The challenge is to display high definition imagery without needing 3D glasses or headsets. 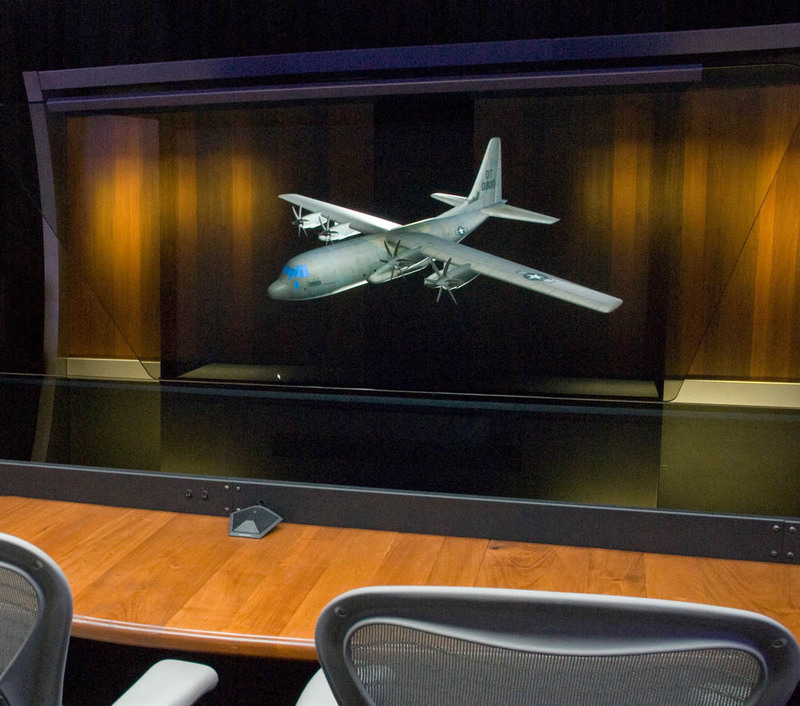 This Holographical RealityTM solution was installed at the corporate headquarters of Lockheed Martin. This immersive telepresence solution generates live, high definition digital imagery displayed within the three dimensional setting of the room. 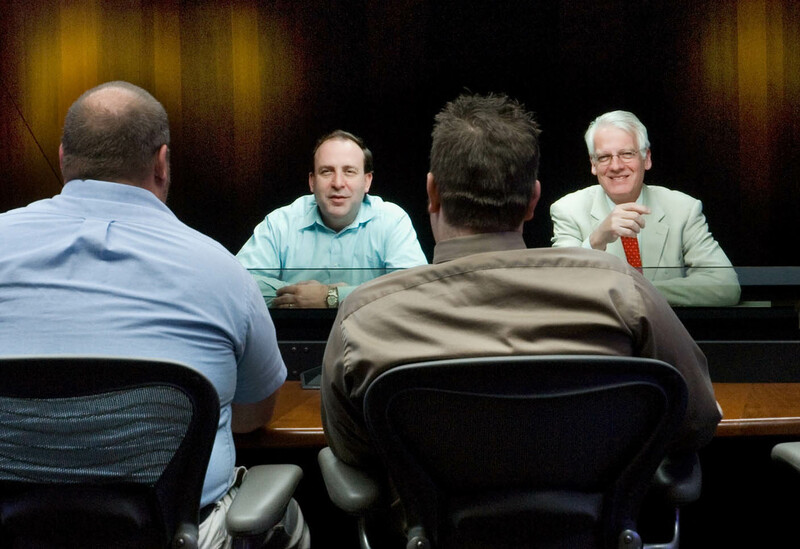 People transmitted holographically in high definition across the table appear as real as life. The transmissions are in real time with no discernible delay. The TelePresence Tech patented eye contact technology achieves a personal connection between people natural face-to-face communication. The immersive environment brings three dimensional visualization of CAD models into the room with true depth for a greater understanding of detail and physical embodiment. The Lockheed Martin solution delivered transmission from multiple locations simultaneously for international collaboration in real time.